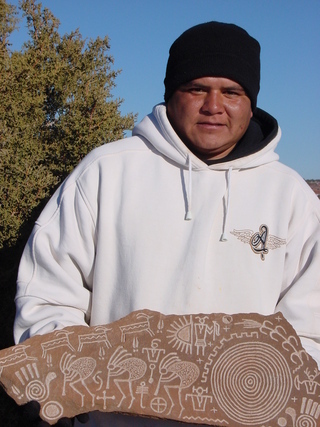 Creighton Begay, from Canyon de Chelly, offered this petroglyph of Navaho symbols, their meanings taught to him by his grandmother. Pecked images and oral tradition kept these ancient stories alive. I believe in the power of stories to help us make sense of the random nature of our lives. A selfie, taken in the an apartment I rented in the Marais, the Paris neighborhood where the National Archives is located. I was there to do research on my new novel, The Vermillion Sea. Gosh, I hate this part. Me, me, me. But, okay, I'll give it a crack. I write novels and stories that are mostly made up, but partly true. What I mean by that is that each story begins with a kernel, like a piece of popcorn that refuses to pop. When it does pop, it's a story, and you'd be hard-pressed to know that it was once an intractable seed in the smoking microwave bag. What else can I tell you that's easy to tell and that you might believe? Well, displacement is a constant theme in all my work. My characters struggle to put down roots or adapt to the places they find themselves. I guess that's pretty close to my own true-life story. I could not bear to return to an office where the windows didn't open. Besides, editorial work did not pay well, nor were there many publishers in the San Francisco Bay Area. When I was twenty-seven, I began a carpentry apprenticeship, working for Mac & Lou and Refvem Construction. When I was thirty-five, I moved to Illinois. A guy I had been dating seemed willing to sign on for the whole package, me and four kids. He had taken a job as a professor at the U of I in Champaign-Urbana. My first project was to restore an 1869 Italianate house. Thinking about the months we spent with a table saw in the living room and scaffold in the dining room makes me shake my head. Today, I would be totally daunted by the scope of that project. But one house wasn't enough. I restored two other Victorian houses to keep the beautiful old homes on Main Street from being torn down. In my mid-forties I realized that construction dust was hurting my lungs. I switched back to my first so-called career. I worked for the university as an editor, and I wrote how-to articles for magazines such as Old-House Journal, Journal of Light Construction, RSI, Carpenter, and Better Homes & Gardens. When my husband became department head of Environmental Engineering at Northwestern University, I moved, too. By then the kids had graduated from college, and I could go back to what I'd always meant to do: write fiction. I currently live in Arizona with my first reader and dearest friend, Dr. Bruce Rittmann, Director of the Swette Center for Environmental Biotechnology at ASU. I'm a lucky woman.